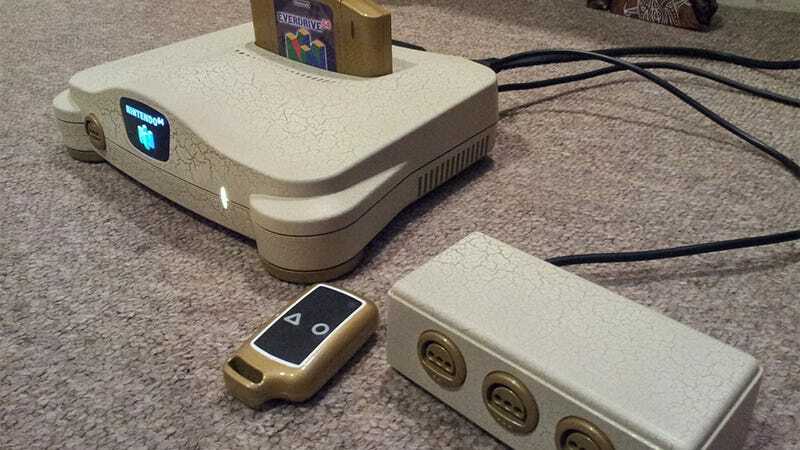 Reader James' modded Nintendo 64 is not a machine for the 1990s. Its modern touches make it a damn fine retro gaming solution for the discerning modern gamer. Preserving the main case, he's heavily modified the console's functionality. Gone are the switches, replaced with remote-controlled power operation. Gone are the four ports at the front, replaced with a single port (for a cleaner appearance) and external multitap. It outputs in RGB colour. There are a whole load of other minor changes, which you can check out in detail by watching the video below.